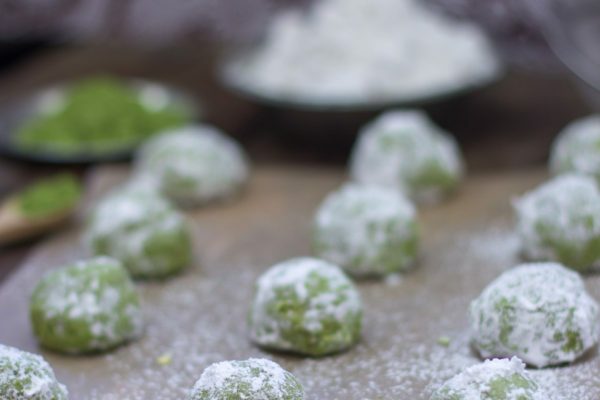 What is the Big Game without a handful of tasty snacks on hand? Especially if they are homemade. 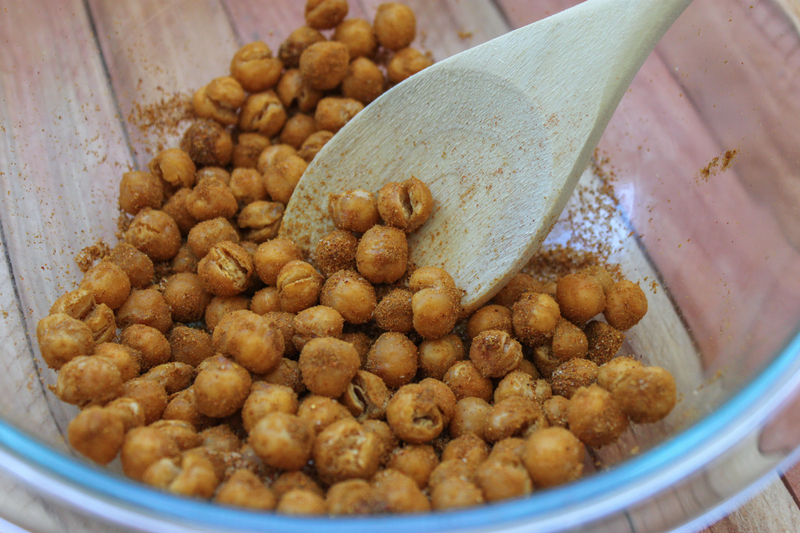 Just one of the wonderful things about these roasted curry chickpeas. They are also big on flavor. The curry and cumin really complement the roasted legume and the coriander adds a bit of zing. Plus they are spicy too! 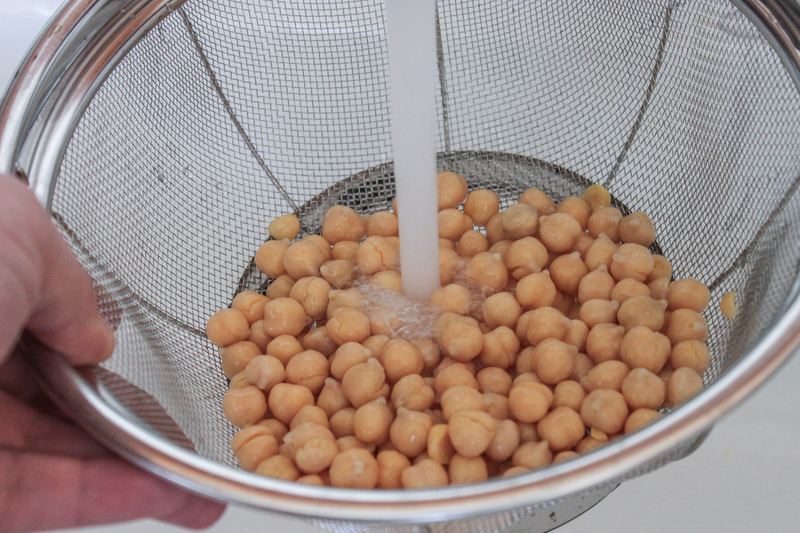 Strain 15 ounces of chickpeas and rinse them clean. You don't want any of the liquid they were packed in to remain. 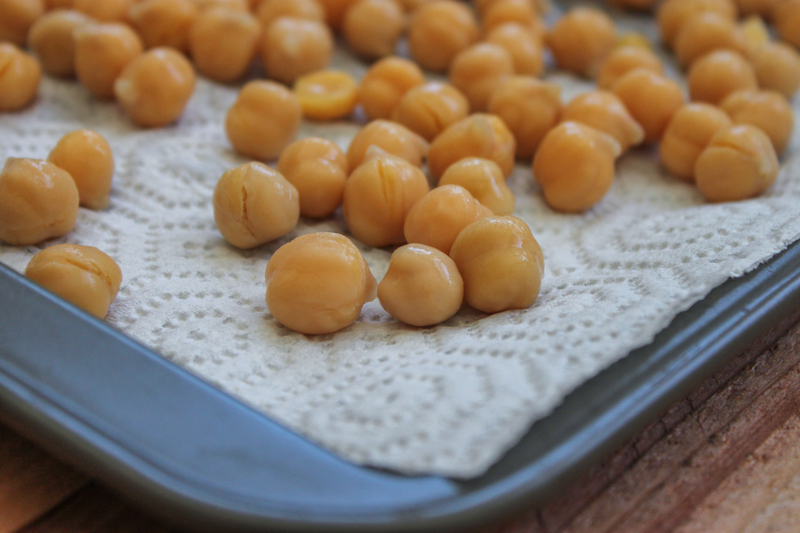 Place a paper towel on a flat surface and spread the chickpeas on to it so that they are a single layer. Place another towel on top of them, rolling them around, until they are completely dry. Toss the chickpeas with 1 tablespoon of olive oil and then place them on a baking sheet lined with parchment paper. Roast them for about 40 minutes until they are a deep golden brown and very crunchy, making sure to not burn them. 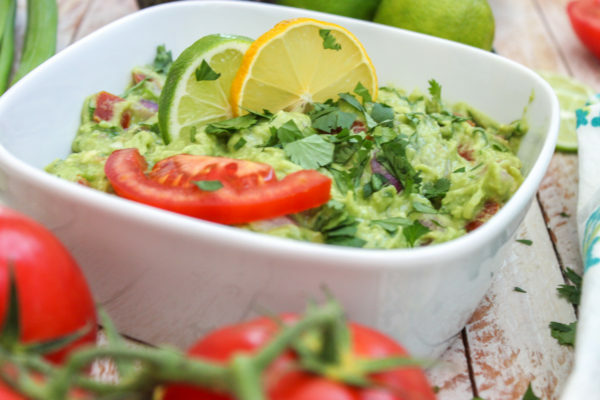 Combine 1 tablespoon of curry powder, 2 teaspoons of cumin, 1 teaspoon of chili powder, 1/2 teaspoon of coriander and 1 teaspoon of sea salt in to a bowl also large enough to hold the chickpeas. 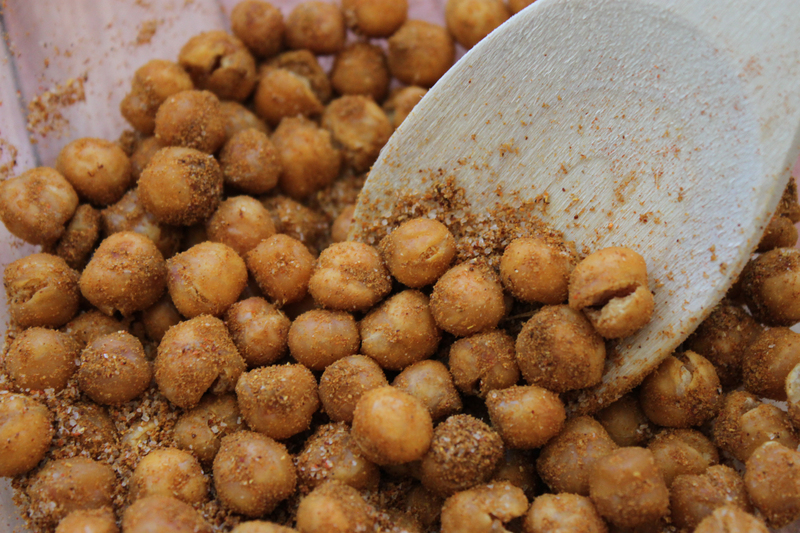 If the chickpeas are dry, toss them with just enough oil to lightly coat. 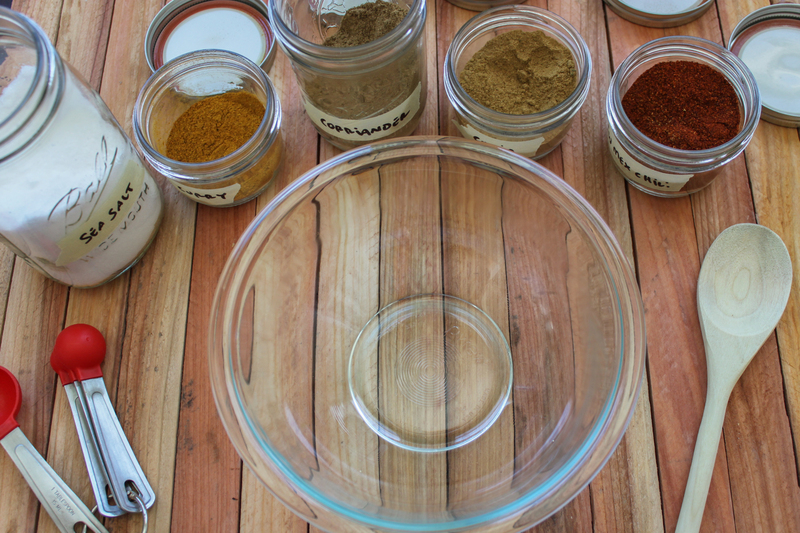 This way the seasoning will stick. Add the chickpeas and toss until they are fully coated. Of course, you can season them anyway you want, really. 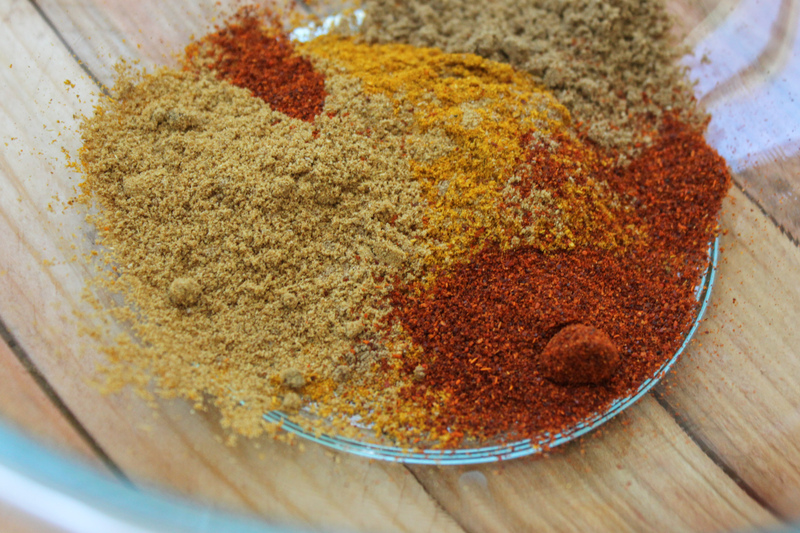 Use this curry seasoning just as a suggestion but maybe try this Coffee and Chili mix or this Maple and Sea Salt? And go Niners!Enjoy!